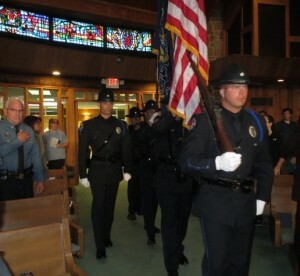 Members of the West Goshen Township Police Department Honor Guard file into Central Presbyterian Church in Downingtown. Members of a club no one would ever seek to join: That was how Chester County District Attorney Tom Hogan described the solemn crowd of about 200 that assembled at Central Presbyterian Church in Downingtown on Thursday evening, April 10. 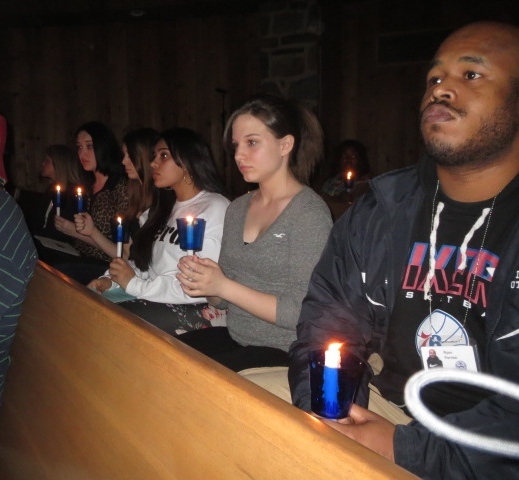 Unlike coveted country club, book, or sports groups, the alliance binding the gathering was a jarringly unwelcome one: the tragedy of losing a loved one to violence, said Hogan, the opening speaker at the 23rd Annual Candlelight Vigil and Memorial Service. His audience included the relatives and friends left behind after a life was cut short by a drunk driver, a violent spouse, a hardened criminal, or, in some cases, an unknown assailant. Sponsored by the Crime Victims’ Center of Chester County, Inc., the annual remembrance of Chester County homicide victims and law enforcement officers who died in the line of duty event is scheduled during National Crime Victims’ Rights Week, offering victims an opportunity to come together to share their grief and find shared strength. 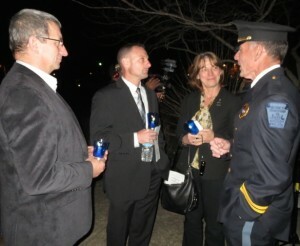 Ken Iwaniec (from left), State Police Cpl. Steven B. Ranck, Debby Iwaniec, and Kennett Township Police Chief Albert McCarthy share memories of Trooper Kenton E. Iwaniec, who was killed by a drunk-driver in 2008. Hogan was one of half a dozen speakers at the event. He was joined by Kennett Township Police Chief Albert McCarthy; retired FOP president Sgt. 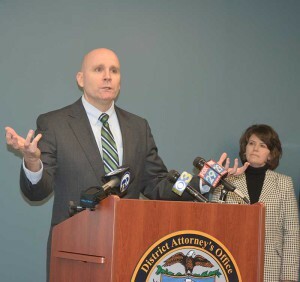 Ed Toner; Billie Lynn Stanley, whose son Tommy was killed during a fight in Valley Township on Feb. 14, 2011; Sherry Davis, whose son Alex’s fatal shooting in Coatesville on July 2, 2012, remains unsolved; and Nancy Yoder, whose 15-year-old brother Richard was shot in the head while waiting for a school bus on Nov. 13, 1986, by a deranged neighbor. McCarthy said he knows the pain of loss far too well. He said he still remembers vivid details from the assassination of Kennett Square Officers Richard Posey and William Davis 41 years ago. McCarthy said their slaying by a member of the infamous Johnston gang occurred the day before McCarthy was to join the department; he said he had become friends with the pair while working as an ambulance driver. Peggy Gusz, executive director of the Crime Victims’ Center of Chester County, listens to remarks at the Victims’ Memorial in Downingtown’s Kardon Park. The morning that the two were slain, they had missed a time check, and McCarthy was one of the people who offered to look for them. After an unsuccessful search, he returned to the police station, he said. First, he saw state troopers with their guns drawn, and then his friends’ bodies – images that are indelibly etched, he said. In February 1985, police tragedy struck again, McCarthy said, when Trooper John “J.J.” Brown was hit at the scene of a traffic accident on U.S. 1 and died of his injuries 10 days later. On March 27, 2008, McCarthy said he responded to another fatality involving a state trooper: Kenton E. Iwaniec, 24. 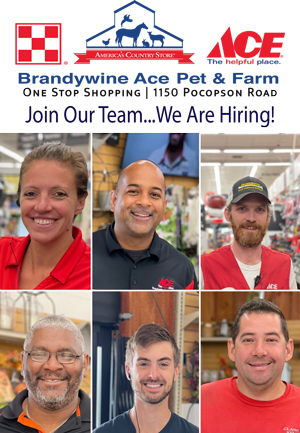 Iwaniec, who had just begun his “dream job” three months earlier, was on his way home from the Avondale barracks when a drunk-driver slammed into him on Rt. 41. With that same goal, the Candlelight Vigil also included a West Goshen Township Police Honor Guard, music, the reading of the names of victims – this year’s number was 444 – a candlelight walk to the nearby Victims’ Memorial in Kardon Park, and a reception at the church. Peggy Gusz, executive director of the Crime Victims’ Center, and Deputy District Attorney Carlos Barraza read the names. Because his own name is often mispronounced, Barraza said he wanted to review pronunciations with Gusz ahead of time, a session he found enlightening. 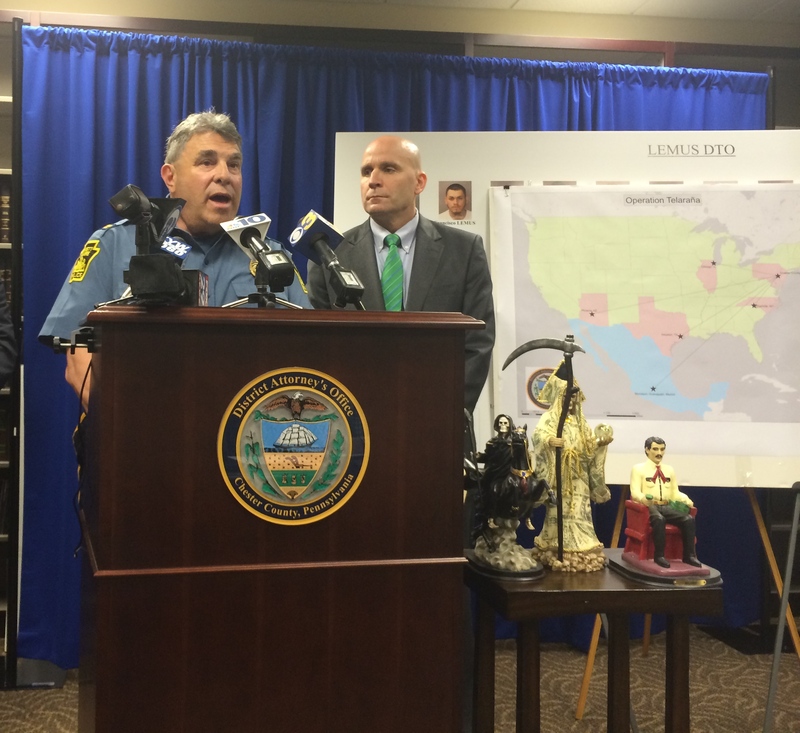 He said Gusz knew the story behind every victim and whom they left behind. “Slowly, each one of those names became so much more,” he said. During the recitation, Barraza read the Hispanic names in Spanish. 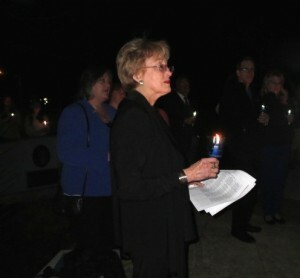 Participants in the 23rd Annual Candlelight Vigil and Memorial Service listen as the names of the county’s homicide victims are read aloud. Later, at the Victims’ Memorial in Kardon Park, some participants found themselves overcome with grief. Many used their phones as flashlights to find their loved one’s name at the memorial, wiping away tears as Nicole Zell played the guitar. One man dropped to his knees sobbing after he found the brick that had his brother’s name inscribed on it. Another victim kneeled down to comfort him, reinforcing a common theme of the evening. Nearby, Kenton Iwaniec’s parents, Ken and Debby, who have launched a tireless crusade to fight drunk-driving, thanked McCarthy for mentioning their son during his earlier speech – which also included McCarthy’s admission that he typically gets too emotional to make the walk to the memorial. McCarthy said he changed his mind, inspired by a brief conversation with Debby Iwaniec at the church.